Corporate law attorneys assist businesses in a variety of ways. They can support transactional business needs, financial goals, dispute resolution, litigation, and compliance, among other legal areas. Most corporate attorneys specialize in a particular area of business law, and entire firms can assemble teams of their attorneys to assist clients with their range of legal needs. Here are several areas in which a corporate law attorney may be able to support your company. Despite careful planning, business disputes can arise at any point. These may include problems with employees, business partners, investors, and clients. If you find yourself in the midst of a legal dispute, a corporate law attorney may be able to help. The attorney will analyze your situation, discuss your goals, and explain various courses of action to determine the best one. Corporate law attorneys can also work with litigation attorneys when necessary to resolve disputes if mediation or other means of resolution prove unsuccessful. Founding a business and registering it as such involves tedious paperwork, contracts, and other documentation to ensure that it is legally established. It also involves understanding and planning for a variety of legal, tax, and financial concerns, including reporting obligations and employees’ rights. A corporate attorney can help you select the ideal business structure for your needs, draft bylaws and articles of incorporation, and establish shareholders’ agreements, in addition to other processes. These allow you to begin your business’s operations as smoothly as possible and provides employees and shareholders with a clear picture of how your business will be conducted. When it comes time to leave your business, whether due to a purchase or transfer of ownership, succession planning can help you transfer the company to a new leader and outline your requests for how you would like the company to be governed. This planning process can include asset protection and restructuring, facilitating mergers or acquisitions, and assisting with personal estate planning. A corporate attorney who specializes in this area may work with tax and estate planning attorneys to provide a more comprehensive service. Thorough succession planning provides a clean transfer between owners. Your company’s governing laws are as important as those of a city or country. You must ensure that you are conducting your business in line with SEC rules, among other laws, and that all directors are aware of their fiduciary responsibilities. By working with a corporate law attorney, you can meet these requirements. Attorneys can also draft charters, codes of ethics, statements of principle, and proxy statements for meetings. These documents outline your vision for the company, how it will operate, and how it and its employees will be presented to clients, making them an important element of your branding and daily operations. To expand your business, you may find yourself considering various financing options and types of capital. This can include structuring and raising startup equity capital, negotiating debt transactions and workouts, and resolving bankruptcy situations. An experienced corporate law attorney can explain all of your financing options, help you choose the right one for your needs, and follow a plan through to ensure that you receive the necessary capital. Buying a company or selling your own is a long, highly detailed process. While it’s important to ensure that each side is receiving a fair deal, handling the logistics of making that determination is an enormous task. Corporate attorneys can provide guidance and legal support along the way. 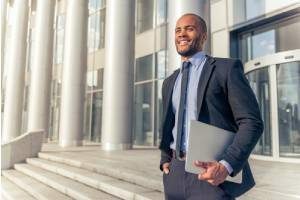 They may specialize in a particular type of merger or acquisition, such as restructurings and reorganizations, public-private company mergers, joint ventures, and spinoffs, providing you with comprehensive knowledge of your situation and beginning this chapter of your career on solid footing. Your business is built on transactions among clients, employees, and other stakeholders. It is therefore important to manage each one efficiently and in accordance with legal regulations. Your non-disclosure and non-compete agreements, employee offer letters and handbooks, contracts, and marketing, software, and real estate agreements should all protect your interests and clearly outline the receiving party’s rights and responsibilities. Employing a corporate attorney to prepare and approve these documents can save you from expensive litigation in the future. Speak to the corporate law attorneys at OFP Law for more information about corporate law and how its attorneys might be able to help you with your business needs. The office’s team of legal professionals has years of experience in a variety of corporate law fields, including mergers and acquisitions, succession planning, business disputes, and more. OFP Law works primarily with clients in the Virginia, Maryland, and Washington, D.C., areas and offers free consultations and customized legal plans to help you achieve your business goals.